If you’ve been longing for gaining an additional control over your WordPress website’s admin bar, then you’ve landed on the right post. In this tutorial, I’ll be talking about the significance of adding a new custom menu item in the back-end along with the simple method of doing so the right way. 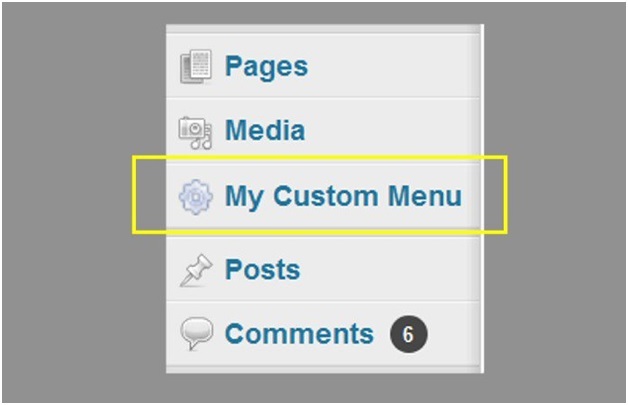 When does addition of a new custom menu item in WordPress admin serve handy? The default WordPress admin dashboard comprises of some menus including Posts, Pages, Appearance, Plugins etc. which allow you to perform only the pre-defined functions. It is here that a custom menu item comes as a handy option. Unlike the hassles of installing a third-party plugin for doing a lot of other things with your menus; you can simply choose to create a custom menu item to accomplish your tasks within a remarkably short duration of time. Before proceeding ahead, let me make you acquainted with how the final outcome is going to be like. Well, the final product will be a custom menu item, linked to a page where you’ll be shown a refined list of users along with their roles. An ‘Edit’ link will be displayed against each user record, allowing you to modify the details for the respective user. Before proceeding ahead with creation of a brand new menu item, you need to set the location for the same. For this, simply go to your admin dashboard-> Menus and select a preferred location for the secondary menu. Once you’re done with this, click on ‘Save’ button to save the settings. This is the hook that registers the ‘create_new_custom_menu_page’ function under the backend_menu hook. page title- this is the text that will be displayed along with the title tags of the custom menu page. When an admin user clicks on this custom menu, he/she will be able to view this text. Menu title- This will the title that appears for the custom menu within the website’s admin panel. 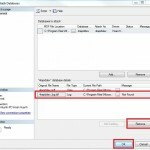 Capability- This parameter will determine the capability that is required for displaying the custom menu to the user. Function- Although this is an optional parameter, it displays the content stored for the custom menu page. In this tutorial, I’ve used the ‘new_custom_menu_page function which will generate the list of users, roles assigned to them along with an ‘Edit’ link for moderating the details of each user and his/her individual role. Menu Icon- This is yet another optional parameter which serves as the right tool for managing the icon defined for the custom menu. In this tutorial, I’m not passing any image path for the menu and hence WordPress would assign a default image to the menu’s icon. Menu Position- As the last(but optional) parameter, Menu Position enables you to manage the position of the menu. To put it simply, you can either choose to place the menu towards the top or the bottom; within the WordPress admin area. A custom menu renders you an absolute flexibility of managing your website in a much more refined manner as compared to how you’ve been doing it using the default WordPress admin menu. Working in synchronization with your specific requirements, a custom menu will serve as the right tool for embellishing your WordPress site/blog with brilliant add-ons. How to create new custom menu item in your wordpress back end? I am Sophia, my forte is WordPress and my work exists at the intersection of web development and technology blogging. Sophia is professionally associated with WordPress Web Development Company that has been taking huge strides in the web domain from quite a while now.